Sekiro has nearly broken Mike, but he presses on, while Jake is basking in the glory of completing his first run of the game. Jake has also been spending more time with Enter the Gungeon, and Ben has fully dove into Assassin’s Creed: Odyssey. News brings us a “home arcade console” from CAPCOM, Octopath Traveler coming to the PC, and a public test server being added to Division 2. We have a long discussion about the recent article about the “next-gen” PlayStation and make our predictions about what that console will be. 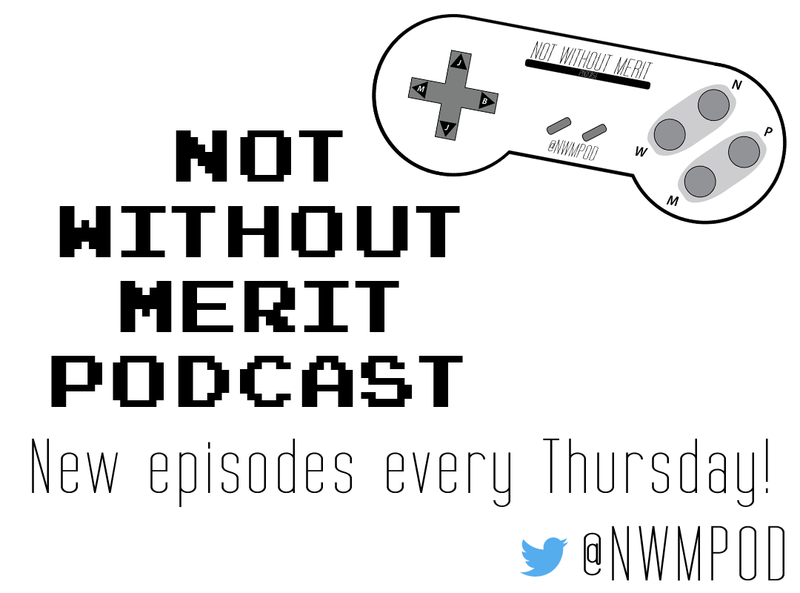 Jake has been struck with the stomach bug so he left Mike and Ben to talk up Sekiro, a little bit of Enter the Gungeon and Black Ops 4, with even some recapping of WrestleMania 35. News is quite light this week, with only the ability to change your PSN name going live for everyone, Persona 5 joining the “PlayStation Hits” list, and a date for the reveal of Star Wars: Jedi Fallen Order. For our Top 5, we pick the five hardest games we never finished! So we only played four games between all of us this week, but we played the heck out of them: Sekiro, The Division 2, Path of Exile, and Black Ops 4. All of us are very pleases….though Mike is very mixed on Sekiro so far, we’ll see how that goes next week. News brings us the reveal of the SEGA Genesis Mini, the end of DriveClub’s online features, a release date for Borderlands 3, and the next batch of NES games coming to Nintendo Switch Online. In place of a Top 5 this week, we make our predictions for Wrestlemania! Before everyone gets lost in the endless void that is Path of Exile, both Mike and Ben continue on with The Division 2, Jake is just over the halfway mark in Sekiro, and Mike has reached the conclusion of Hollow Knight. In news we have the PS+ games for April, Sony’s debut episode of “State of Play”, the final expansion for Enter the Gungeon, reveals of Persona 5: The Royal and Shantae 5, a GameStop esports performance center opening in Texas, and the end of PS4 download codes being sold in retail stores. For our Top 5, we rank the hardest games we’ve ever beaten! The Division 2 is finally here and both Ben and Mike have played it extensively, with a very positive outlook on it! Everyone has still been playing Hollow Knight and Jake is getting deeper into Divinity: Original Sin 2. Our news this week is a slew of game announcements for the Nintendo Switch, Konami releasing three different 50th anniversary collections, another monumental update coming to No Man’s Sky, and the reveal of the lead character in the next Yakuza game. The Top 5 this week is our most-anticipated developers working on new games! So we’re all playing Hollow Knight while we impatiently await for The Division 2. In the meantime Jake has also started up The Last of Us, Rayman Legends, and Divinity: Original Sin 2. News gives us Judgment being removed from sale in Japan for a very peculiar reason, new content in Fallout 76, free DLC coming to Dead Cells, release dates for Path of Exile and The Messenger on PS4, and the announcement of a Dragon’s Dogma animated series coming to Netflix. In place of a Top 5 we talk extensively about the wild start to NFL free agency! We did it, we bought Rainbow Six Siege. Jake was ecstatic, Mike was pretty pleased, Ben…not so much. We also all spent some time with Hollow Knight, Mike also played Assassin’s Creed Odyssey, Ben played Civilization 6, and Jake played more Ace Combat 7. For news we have the official sell off of all Ubisoft stock owned by Vivendi, the first Tetris 99 tournament, the next two games coming to Nintendo Switch Online, a release date for Judgement, and Friday The 13th: The Game coming to the Nintendo Switch. Our Top 5 this week is our favorite gaming reboots!